Nearly ten years later, Oliver Loving still lies wordless and paralyzed at Crockett State Assisted Care Facility, the fate of his mind unclear. Orbiting the stillpoint of Oliver’s hospital bed is a family transformed: Oliver’s mother, Eve, who keeps desperate vigil; Oliver’s brother, Charlie, who has fled for New York City only to discover he cannot escape the gravity of his shattered family; Oliver’s father, Jed, who tries to erase his memories with bourbon. And then there is Rebekkah Sterling, Oliver’s teenage love, who left Texas long ago and still refuses to speak about her own part in that tragic night. When a new medical test promises a key to unlock Oliver’s trapped mind, the town’s unanswered questions resurface with new urgency, as Oliver’s doctors and his family fight for a way for Oliver to finally communicate— and so also to tell the truth of what really happened that fateful night. Stefan Merrill Block grew up in Texas. His first novel, The Story of Forgetting, won Best First Fiction at the Rome International Festival of Literature, the 2008 Merck Serono Literature Prize and the 2009 Fiction Award from The Writers’ League of Texas. The Story of Forgetting was also a finalist for the debut fiction awards from IndieBound, Salon du Livre and The Center for Fiction. The Storm at the Door is his second novel. He lives in Brooklyn. "Stefan Block's profound third novel, Oliver Loving, is intricately constructed and rich with devastating, gorgeous prose. But it is the author's rare and special sense of empathy -- felt so deeply in every moment -- which elevates this novel to a breathtaking place." With exquisite prose and nuanced insights into the functions and dysfunctions of family, Oliver Loving ranges far and wide, from small-town Texas to New York City, communication with semi-living ghosts to the American appetite for violence, the uncharted territory of the human brain to the equally elusive mysteries of the human heart. Stefan Merrill Block has written a captivating, powerful novel." "In lucid prose and with a tremendously sure narrative hand, Block weaves together a coming of age story and a lament of lost youth. This is the story of the devastation inflicted on those left behind by catastrophic illness, and the strength they find to live in the wake of it. The novel becomes a thriller of sorts, with secrets upon secrets,conflicting agendas, and the truth quivering in every conversation. 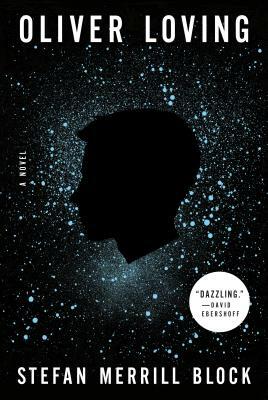 An essential window into the consciousness of someone on the other side of an impenetrable veil, Oliver Loving brilliantly illuminates the enduring bonds of family and offers one of literature's best explorations of the limits of communication we all grapple with." "One reason we read fiction is to know the lives of others as well as our own. In OLIVER LOVING Stefan Merrill Block writes about a West Texas family and community so wholly and honestly, and with such poetic beauty, that their dreams and sorrows become ours. This is a dazzling, psychologically astute, scientifically engaged novel about love, loss, and the mysteries of the mind. Through one family's tragedy Block dares to ask some of the most profound questions of what it means to be alive." "Stefan Merrill Block has a masterful understanding of family dynamics. He writes with authority about the power of secrets, shared history and how tragedy shapes lives. The result is a haunting, bittersweet, addictive novel that will keep you wondering until the very end." "Like Jonathan Franzen's The Corrections and Annie Proulx's The Shipping News, Oliver Loving is an extraordinary novel about family and community, told with real heart and humour and style. Stefan Merrill Block has the rare ability to capture, in his literature, the secrets we store in silence — the pages of a life that are rarely read aloud." "Block has done an excellent job of building both his characters and the West Texas setting, which lives vividly on the page, all heat and dust and decrepitude. At once timely and timeless, this is an exciting story that rewards reader interest." "The book poses big questions about what constitutes a life worth living." "Block's powerful, ambitious third novel (after The Storm at the Door and The Story of Forgetting) examines the dislocation, confusion, and psychological trauma experienced by families and communities when sudden, violent loss of life occurs...A beautifully rendered meditation on the nature of forgiveness, mercy, and healing." "In Stefan Merrill Block’s psychologically astute novel, the damaged people that surround Oliver try to piece together their own versions of what happened that night and since then, even as doctors prepare a new treatment that might help Oliver communicate again." "A moving novel of love, family, and loss, Stefan Merrill Block's Oliver Loving pulls on every heart string and leaves no stone unturned throughout one man's quest to escape the paralysis that has ensconced him and live a normal, happy life." "A charged and hopeful story of a West Texas family seeking a way forward in the aftermath of a school shooting." "An exquisitely moving novel of sorrow, love, and the miracle of human connections."